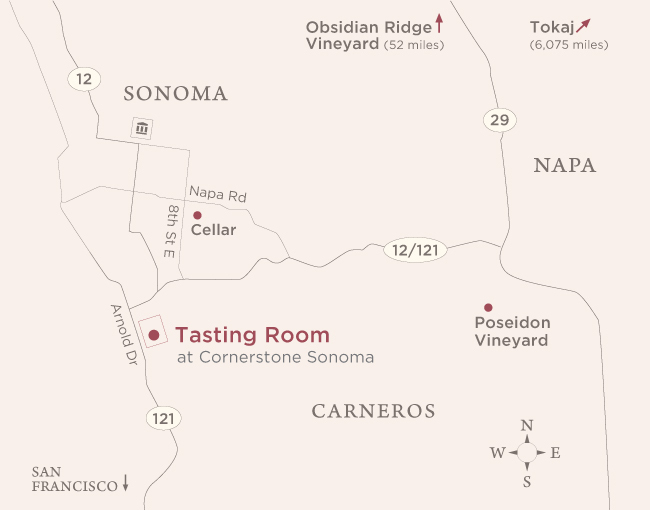 Our tasting room is located amidst the art-filled gardens of Cornerstone Sonoma. Join us for a tasting on our deck or by the fireplace. 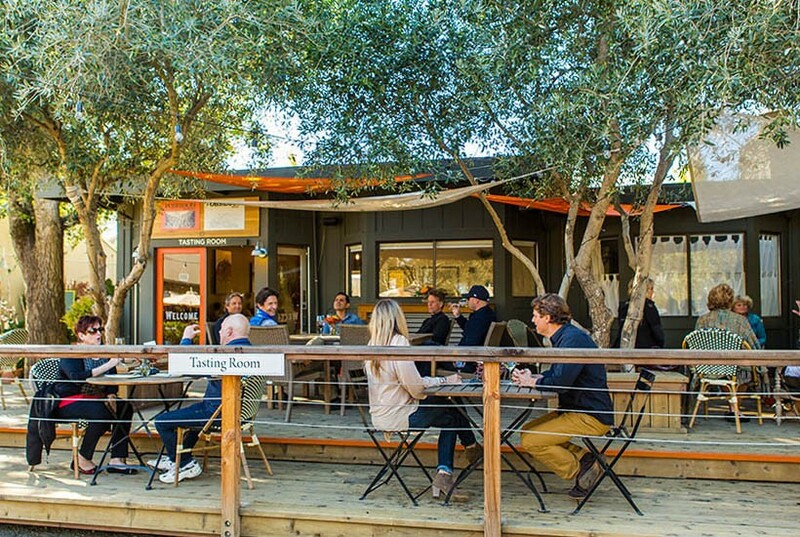 The tasting room is open daily, no appointment is necessary. 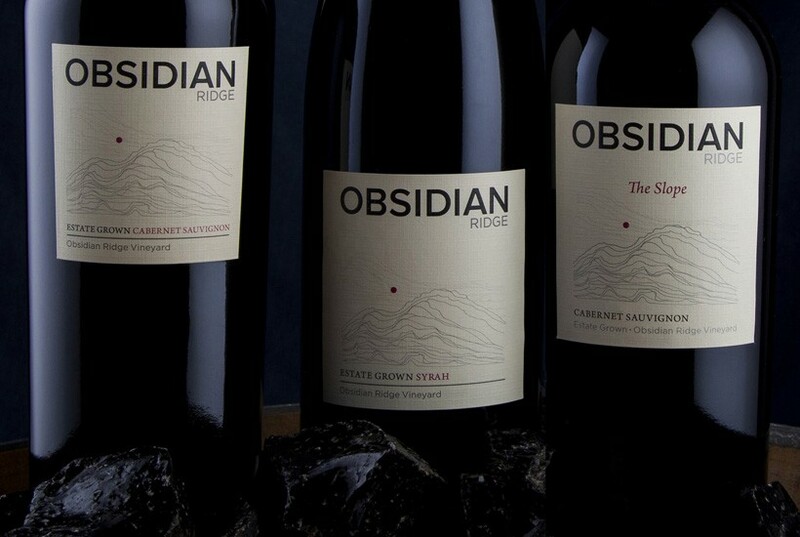 For a customized visit, please e-mail us at tastingroom@obsidianwineco.com or call us at (707) 706-2020. While the official release of our Rosé for the Bay isn't until Earth Day (April 22nd), we're giving you a sneak preview at this year's Tomatomania weekend. 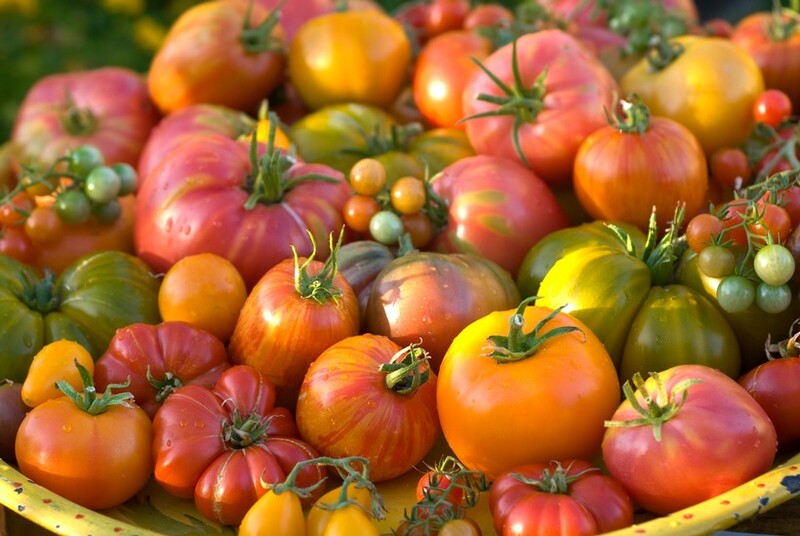 Just steps away from our Tasting Room, Tomatomania is the world's largest (and most fun) heirloom tomato seedling sale, and it's happening right here at Cornerstone Sonoma. Peruse exotic tomato varieties with a glass of our 2018 Rosé in hand. You don't want to miss this event! 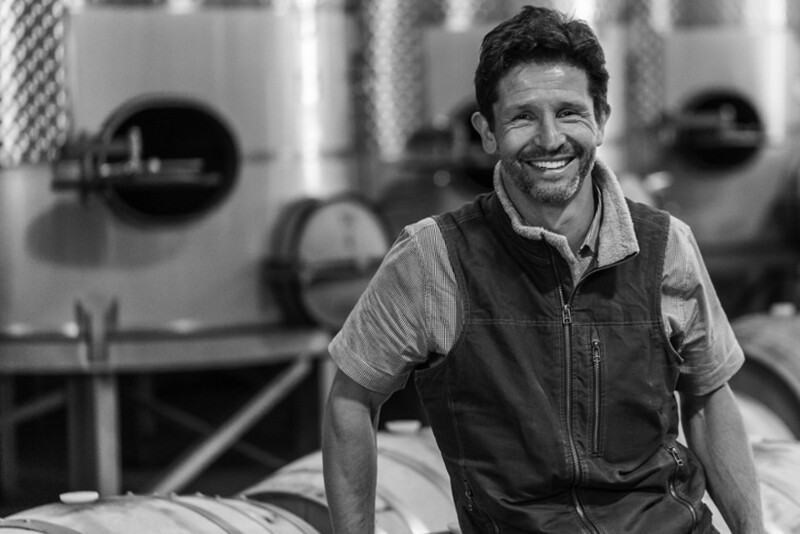 We're headed to Atlanta for an intimate wine reception hosted by winery co-founder Arpad Molnar at St. Cecilia in Atlanta on Tuesday, April 16th. 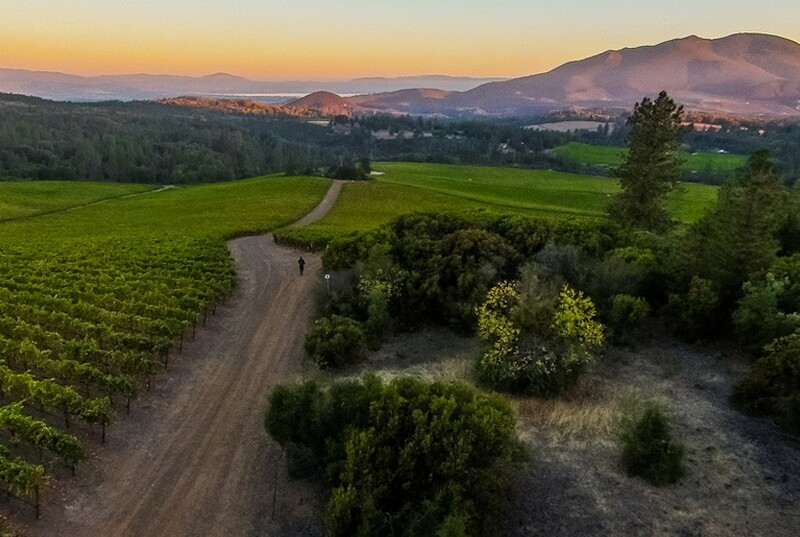 Join Arpad from 5:30–7:30pm for small bites paired with a selection of our wines from Obsidian Ridge and Poseidon Vineyard. 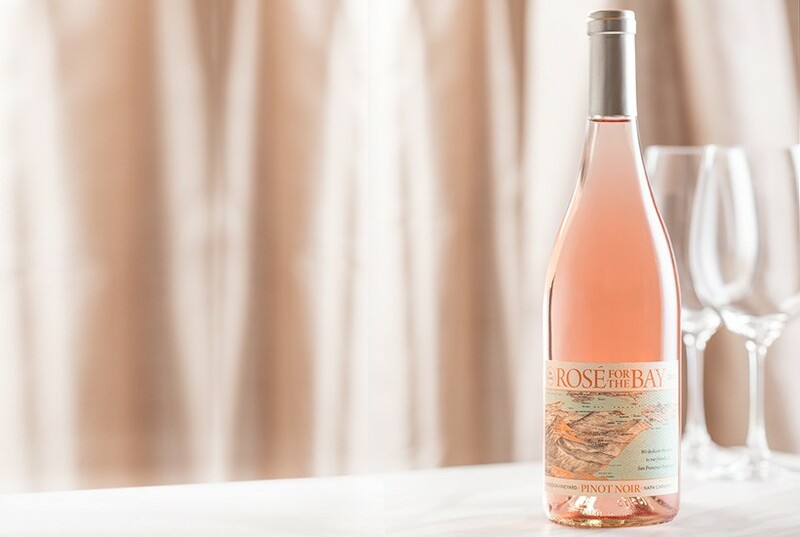 Support a healthy Bay–drink our rosé! Official release of the 2018 Rosé for the Bay is on Earth Day (April 22) and it will available exclusively on our website and in our tasting room beginning Saturday, April 20th. Stop by to get yours while it lasts! 100% of our winery proceeds from this limited production rosé are donated to fund the San Francisco Baykeeper's efforts to stop the Bay’s worst polluters. SAVE THE DATE: Celebrate the official start of summer with us at Obsidian Ridge! We are planning an afternoon BBQ in the vineyard at 2,640 feet. 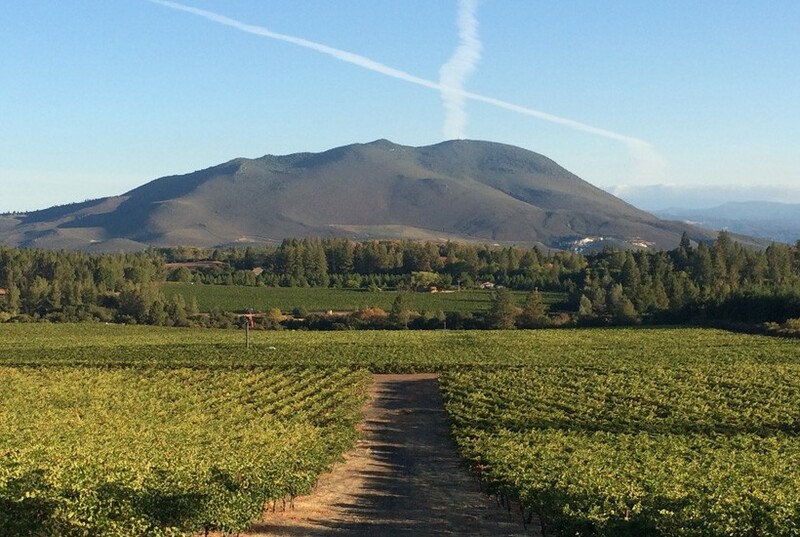 Dramatic views, high elevation wines and delicious local cuisine. Details coming soon. Given our vineyard’s namesake, we feel the Bay is a setting well-befitting for tasting and celebrating the wines of Poseidon Vineyard, so we've chartered the 80-foot classic schooner Freda B for our annual wine club sailing event. 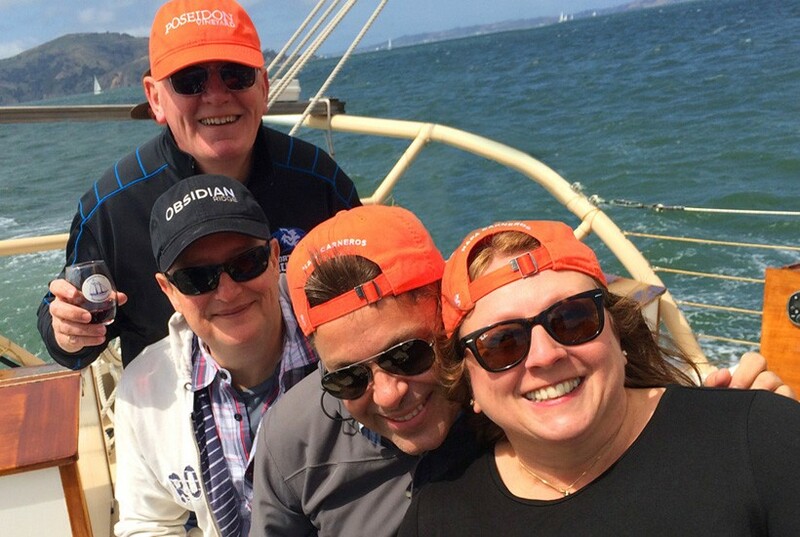 We'll depart from Sausalito and embark on a 3-hour cruise around the Bay, enjoying incredible views, a delicious lunch of Maine lobster rolls, and plenty of Poseidon Vineyard wine. SAVE THE DATE: We invite our club members to come by our tasting room this weekend to pick up their Fall wine club order and enjoy a flight of the four newly released wines paired with small bites. Bring a friend (or friends), if they join our wine club, we’ll give you both a special gift from our cellar to say thank you! 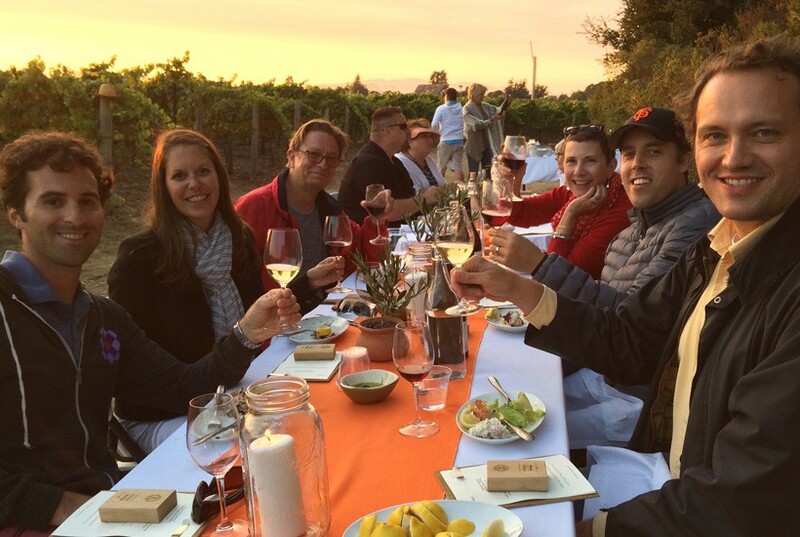 SAVE THE DATE: Celebrate the official end of harvest with us at Poseidon Vineyard! We are planning an afternoon BBQ at our seaside Carneros vineyard. Details coming soon. 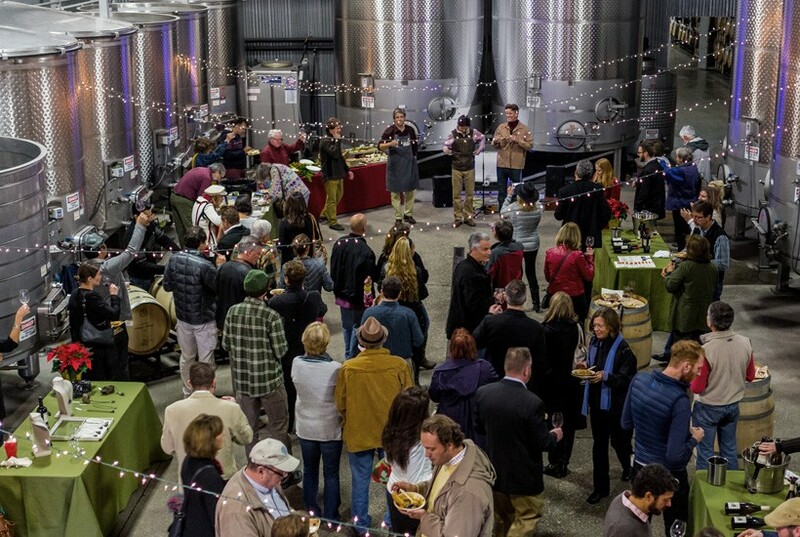 SAVE THE DATE: Join us for our annual Cellar Holiday Party celebrating the holidays and our newly released reserve wine selections from Obsidian Ridge & Poseidon Vineyard. We'll be serving up delicious bowls of Cioppino—a Bay Area classic at the holidays. Live music, barrel samples and plenty of mingling with our team and fellow wine lovers. SAVE THE DATE: Now in its 14th year, the Annual Lighting of the Snowmen here at Cornerstone Sonoma has become a Sonoma Valley holiday tradition! The festival will feature live music, crafts for kids, wine & beer tastings, warm drinks, delicious food, festive decorations and Santa himself! Stop by our Tasting Room to enjoy specials on wines by the glass.